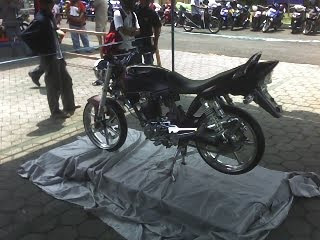 honda MEGAPRO modif extreme for contest. MOTOR modification type honda megapro in a motorcycle show contest. 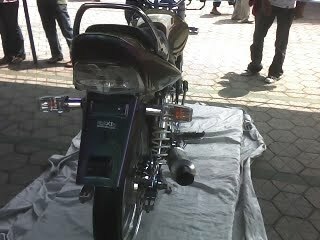 this is the gallery foto honda megapro airbrush old green colour treatment. the motorbike looks cool in this color. suitable for youngman rider. who want modif xtreme taste. let's cek the photo pic behind. 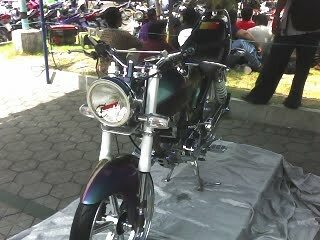 TAG : airbrush motor Honda Megapro - modification art in motor cycle contest show in JEC jogjakarta. 0 Response to "Gambar Modifikasi Honda Mega Pro Extreme"